Ten pounds of Indian Corn were dry enough to remove the kernels. The cobs have been drying in the greenhouse. The small hand machine works fine for small quantities. The kernels must be dry to inhibit fungus and mold. 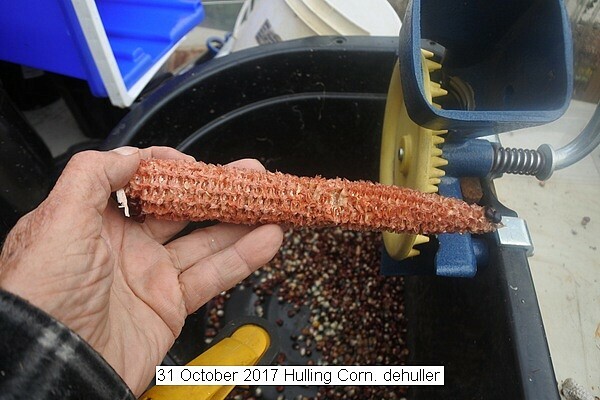 This entry was posted in Uncategorized and tagged 31 October 2017 Hulling Corn, Removing Corn Kernels. Bookmark the permalink.